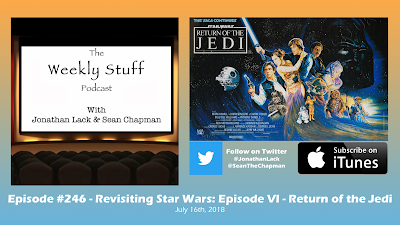 This week, one of our biggest projects of 2018 comes to a close as we complete our journey through the original six Star Wars films with Episode VI – Return of the Jedi. 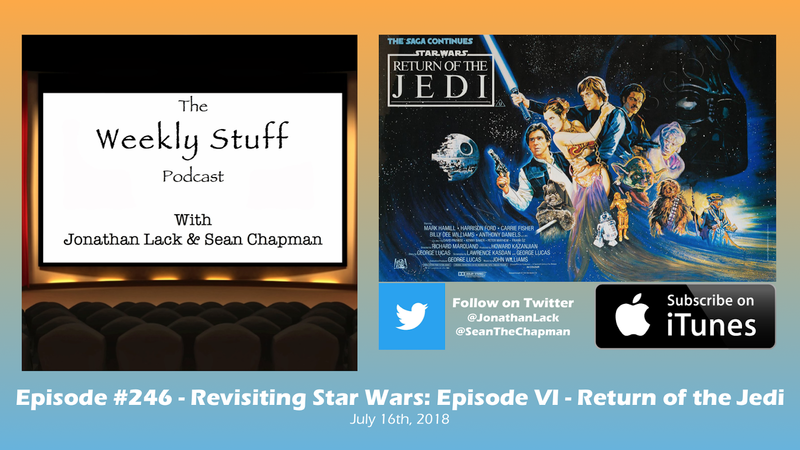 Easily among the most iconic pieces of mainstream Hollywood blockbuster history, Return of the Jedi is a fascinating experience to watch and discuss in this context, as it represents some of the best and some of the worst Star Wars has to offer, in perhaps the most complicated package we’ve yet broken down in this series. We give it our usual in-depth breakdown, and offer some final thoughts on our entire Star Wars re-watch project. Before that, Sean and I also break down a few pieces of news – including the recent Doctor Who teaser and the reveal of the new Dragon Ball Super: Broly film – while I give initial impressions of Octopath Traveler for the Nintendo Switch and Sean talks about reading an amazing mid-2000s Spider-Man comics run. It’s a jam-packed podcast, and one of my personal favorites of the year.